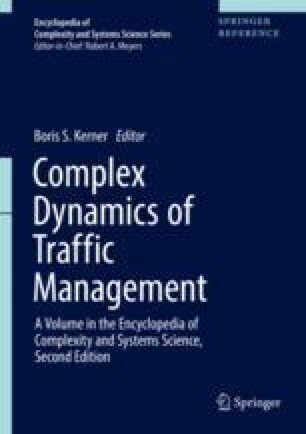 Traffic breakdown occurs mostly at road bottlenecks. Just as defects and impurities are important for phase transitions in complex spatially distributed systems of various nature, so are bottlenecks in vehicular traffic. A road bottleneck can be a result of roadworks, on- and off-ramps, a decrease in the number of freeway lanes, road curves and road gradients, traffic signal, etc. Congested traffic is defined as a state of traffic in which the average speed is lower than the minimum average speed that is possible in free flow. I would like to thank Sergey Klenov for help and useful suggestions. We thank our partners for their support in the project “MEC-View – Object detection for automated driving based on Mobile Edge Computing,” funded by the German Federal Ministry of Economic Affairs and Energy.